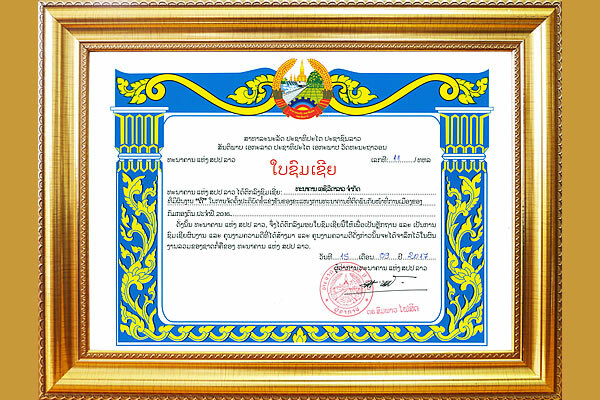 Letter of Appreciation from the Bank of the Lao PDR for the good performance in banking sector 2017. 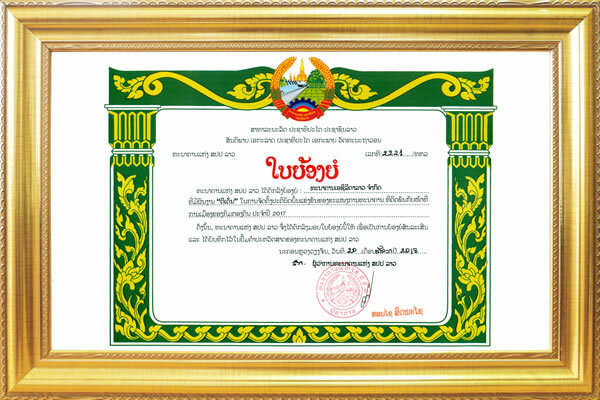 Letter of Appreciation from the Bank of the Lao PDR for the good performance in banking sector 2016. 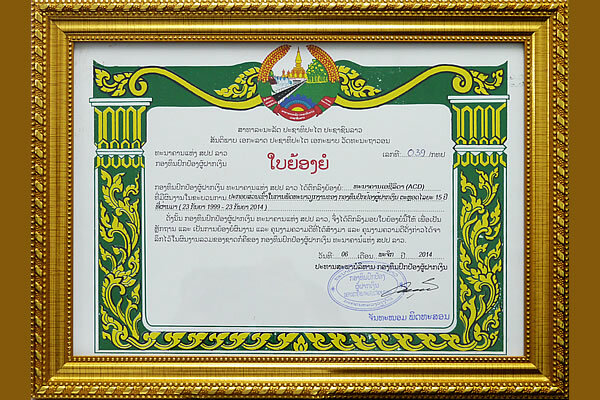 Letter of Appreciation from the Xayabouly Province. 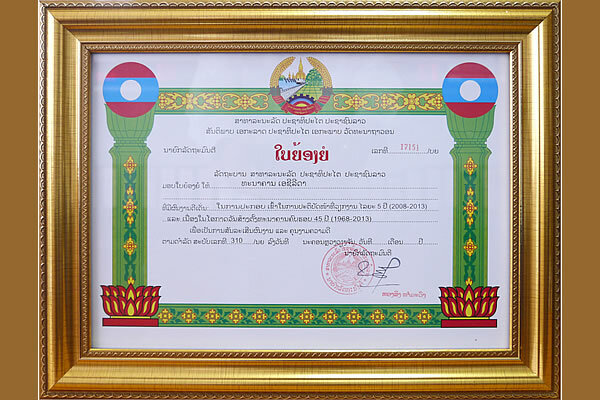 Certificate of Appreciation from the Bank of the Lao PDR acknowledging ACLEDA Bank Lao for those who participated in the development of the Fund to Protect Depositors in the last 15 years. 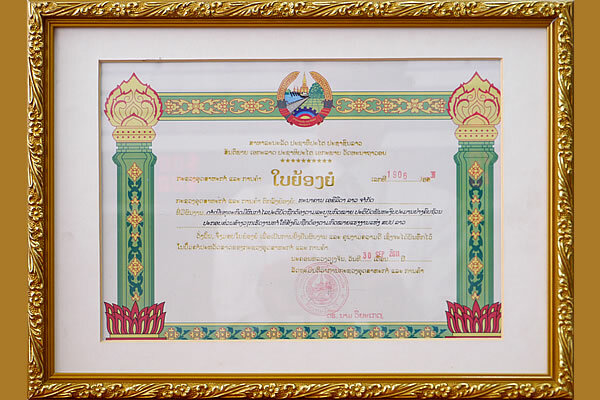 Letter of Appreciation from the Ministry of Industry and Commerce acknowledging ACLEDA Bank Lao's profitable endeavors, compliance with Lao laws, fulfillment of state obligations, and contribution to job creation. 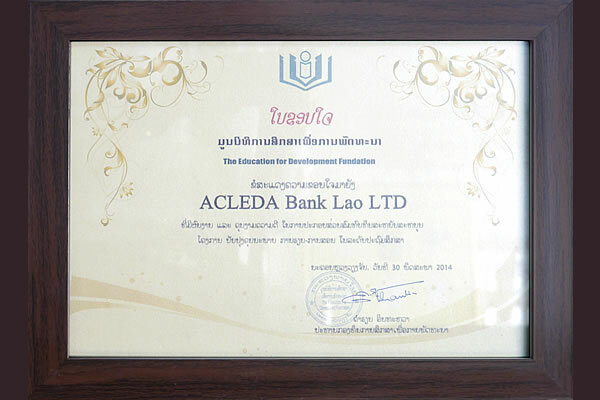 Certificate of thanking ACLEDA Bank Lao supporting for the Education for Development Foundation. 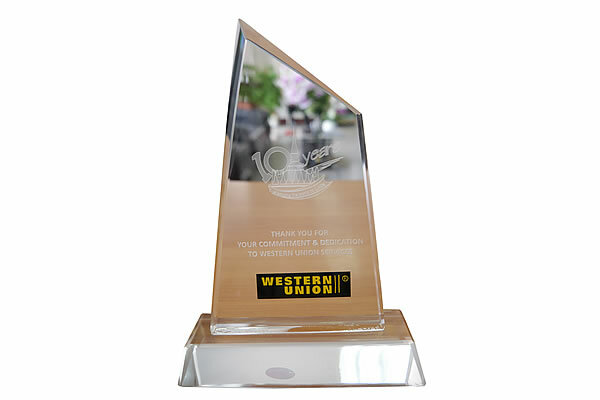 Award from Western Union services thanking ACLEDA Bank Lao for its Commitment & Dedication to quality service. 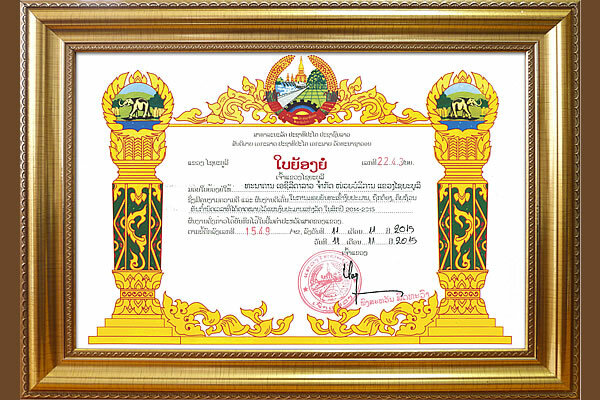 Certificate of Appreciation from the Lao government for doing the best performance and excellent results over the five-year period 2008-2013.